Jac Ford is an actor, writer, and producer based in New York City. She most recently produced and performed in ROMEO/JULIET, a new LGBTQ+ adaptation of ROMEO AND JULIET, which played Off-Broadway at Metro Baptist Church in Hell’s Kitchen. 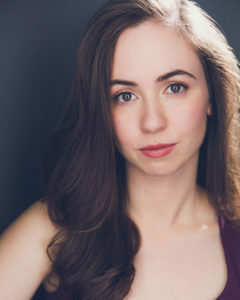 Selected acting credits include: THE FINAL DAYS OF JFK JR. (ABC), RAGTIME (Schapiro Theatre), FIRSTS (Shrill Collective), DOGFIGHT (5th Floor Theatre), GAPING MOUTH OF A HUNGRY EARTH (Williamstown Theatre Festival), LA FEMME N’EXISTE PAS (Institut d’Avignon), THE PIRATES OF PENZANCE (Heritage Theatre Festival), and multiple concerts, readings, and films. Jac is dedicated to telling stories in new ways that simultaneously challenge and relate to a modern audience. She is also a co-founder and co-chair of Hoos in Entertainment, a University of Virginia alumni group within the Virginia Club of New York, where she also serves on the Board. Training: University of Virginia (French & Drama; Phi Beta Kappa).